The security benefits of a document management system are great, but it will vary based on the vendor. You can ask the following questions before you purchase from a document management vendor to get the most from your security. First, ask yourself how much you know about their data center and their procedures. 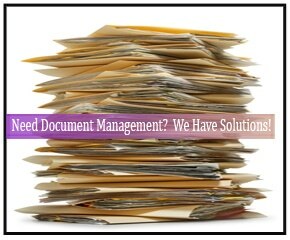 Second, is the document management system well known? In many cases, a system that is more well known will provide you with greater security. It has become a popular choice for a reason. Next, does the vendor conduct audits of the security with their document management system. Even if the company tells you that they do, do not buy it just yet! First, ask if they submit to a third-party audit. When you do the security audit yourself, there will always be a temptation to be more biased about it. With a third-party audit, they provide a real glimpse into security. Ask what will happen if you have a laptop or mobile device that is stolen? How will the document management system protect your data? Finally, examine your own security police. No vendor will offer complete security unless you are proactive yourself.